Kinks legend Dave Davies has launched a video for Web Of Time. The track is taken from Davies' album Decade, which was released in October, and featured previously unreleased tracks written by the guitarist in the decade prior to the release of his debut solo album, AFL1-3603, in 1980. "Web of Time is a previously unreleased song I wrote and recorded in the mid-1970s, which has been embellished for the Decade album," says Davies. "It's about my feelings and reflections about where we stand as people and what we are doing to each other, why we do the things we do. Questioning life - is it just chaos or is there more to it? I think it's poignant for these times." The video for Web Of Time cuts modern-day footage with previously unseen footage and photos from Davies' personal archive, with clips of Dave with his brother-in-law Mike - who was instrumental in Dave and Ray Davies' early musical development - alongside Dave's sister Dolly. 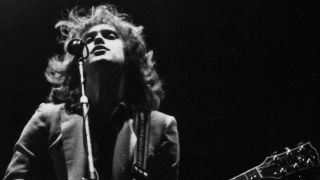 It also contains footage from the upcoming documentary film Dave Davies: Strangers.